to say I am not feeling in a good mood today, just say I am feeling under the weather. I hope I feel better later. I started reading my older posts and I wonder if is worthy to spend some time writing posts, editing and downloading pictures. I think most of the 3,000 and something visitors, maybe 75% is me checking IF anybody left a comment. 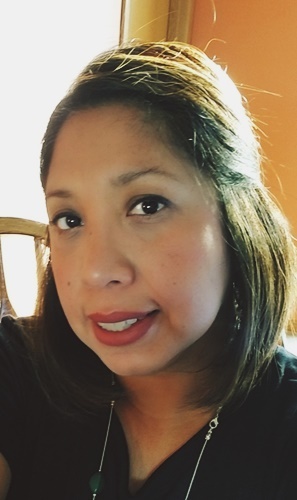 I have a mix of feelings today, I want to cry and I want to do nothing, but I have a child and I am a wife too, so I have to keep myself up and do what I have to do. 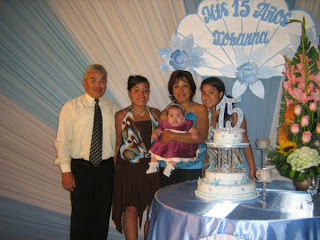 I miss my family and I wish to be there with them, they are a lot of fun. Anyway, I hope my mood change later. I started cross stitching again, maybe I will finish my project and post a picture, maybe somebody will like it. Thanks again if anybody reads this. Today challenge at SCS was to use an embellishment that you bought because you thought you could use it anytime, BUT never use it. Well, I have few things that I bought and still there, in packages, looking at me shouting PICK ME, PICK ME, LOL. When I started making cards and I can hardly have anything, but now I would say I have something (of course I wish more), I bought the ribbon I used in my cards (yes, I made 3!!!) long time ago, and today was the perfect occasion to take it and use it. Anyway, here they are, I hope you like them. Stamps: SU Merci, SU Vases in Vogue. 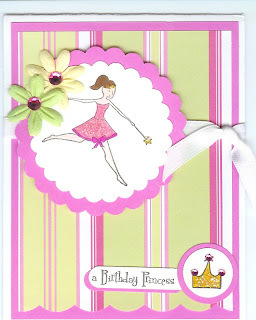 Card stock: SU Lovely Lilac, SU Pretty in Pink, SU Regal Rose, SU Tempting Turquoise, SU Pixie Pink, White. Embellishments: Miss Elizabeth Pink Polka Dots ribbon, Michael's Dashes, Dots & Checks ribbon, brads, foam sticker flowers, white ribbon from Walmart, gold stickles, gold ep. Paper: DP unknown, transparency sheets. I am very happy and a thank you card!!!! Hello again, Usually I don't post twice a day, but today I have to do it. Almost 2 weeks ago I won a blog candy at Mary Fish blog, the prize was a Merci Set, I was so happy to know I was the winner, but after several days waiting for my prize and being in contact with Mary I knew something was wrong, Mary told me she sent my prize via priority mail, that takes only 2 or 3 days, anyway to make my story short, today I GOT MY PRIZE!!!!!! Yahoo!!!!!!!! I am so happy that I had to use it. Mary has a great blog, if you haven't visited it, well go now!!!! 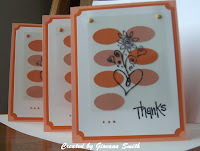 here is the link : http://www.stampinpretty.com/. 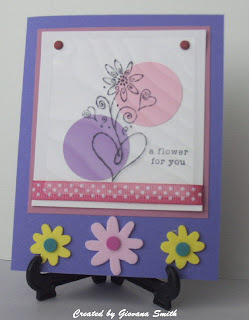 I made a little bit different, she used oval punches, I don't own one so I used my Coluzzle, the smallest oval, she used Rub-ons, I used one of the stamps from the Merci Set, I stamped it on a transparent using Black Stazon. 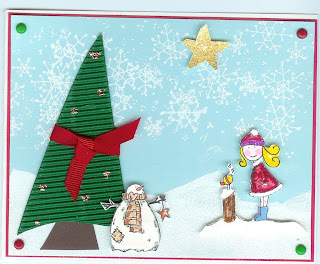 Mary also sent me a beautiful card, you can see it next to the set I won. Hello everyone!!! I hope you are doing great and have a blessed day. Today is a new day and also a new challenge day. I checked today's challenge on SCS and it was to create a card using a spray of any kind. so I immediately came to my mind Rebecca's new toy. I got for her B'day a Crayola Color Wonder Sprayer, she loves it and I do too!!!!LOL. I used it to create my card this morning. 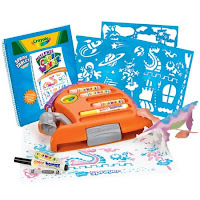 I used all 4 colors are include in the set and even the crayola wonder paper, I tried to use regular CS, but didn't work. My card is really simple, I made 4 cards in only 10 minutes. I sprayed the crayola paper, it dried very fast, then I applied a bit of Hair Spray and let them dry. 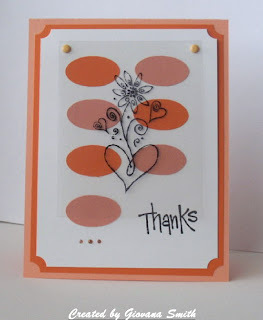 After that, I stamped my Thanks so Much sentiment using Black Stazon. My felt flowers are my creation, I traced them and cut them. I cut more than 70 in different color, my fingers hurt after that. 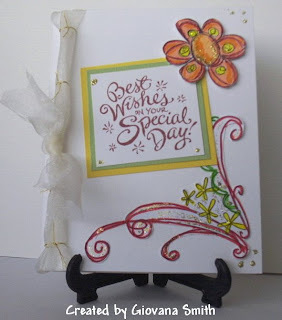 This is card is for today's sketch challenge on SCS. I love Leslie's card, she has so much talent and all her work is awesome. The sketch is pretty and I tried hard because this card is going to go to my MIL. She is an awesome person and she is always there for me. She came last weekend for DH and DD birthday party, driving more than 3 hours ans spending one night with us. She also helped me here and she is always a great company. She brought some stuff too, even though was not my birthday!!!! CS: SU River Rock, Green textured, White. 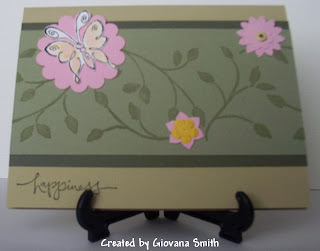 Paper: K&Company Peabody Pink & Green Grandma's. Ink: Chocolate Chip craft, Stazon Black. 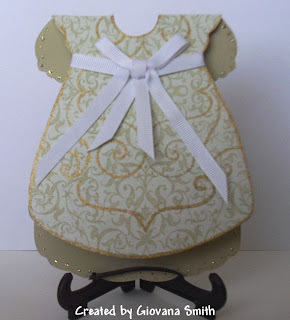 Embellishments: Green ribbon, brads, gold stickles. 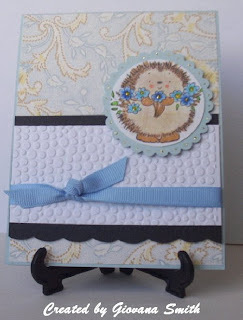 Yesterday I made this card for Lauren's Saturday Challenge. 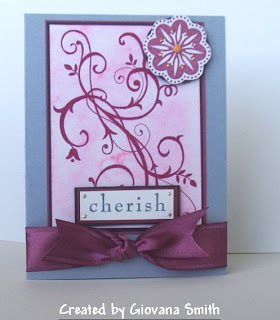 Create a card with just one layer, a sentiment and one corner stamp. Sounds simple, right? Took me a little bit to find the right sentiment and stamp. Anyway, this is a my card, I hope you like it. 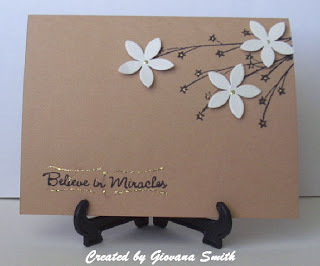 Stamps: Believe from Retro Lunchbox, Fanciful Star Filament from Hero Arts. Hello everyone, I am back!!!! I missed a lot my "blog world". I had a lot of thing to do, but thank goodness I have more time now. Rebecca and David had their birthday party last Saturday, we had a lot of fun, I cooked a lot of food "Chicken enchiladas and tacos" I still having some of both in my freezer, but for now I don't want to eat more of these. Rebecca got sick just after her real B'day, poor little girl, she still coughing, but it is not as it was last week, she is sleeping better and finally I can sleep too. Yesterday, she had her 4 year-old check up, everything was Ok until it was the time for more SHOOTS, Oh My, she screamed so loud, I am pretty sure that the whole building heard her. After that, she got a lollipop and everything was just fine. At home she told me that the nurse made holes on her legs, LOL, I explained the best I could that those shoots will help her to prevent anything and in case she gets sick, it is not going to be too bad, I don't really know if she understood, but today she is doing good and forgot about the Shoot experience. Anyway, I tried today Color Combination Challenge on SCS. Whisper White, Soft Blue and Basic Gray or Black. I used my corner punch and added some brads in each corner, a little bit of gold stickles and that's it!!! 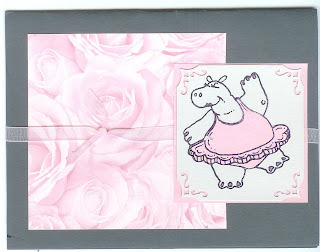 I love this Penny black images, they are extremelly cute. I tried this time Lauren (Mytime) Sketch from some weeks ago. I just folded my Soft Sky CS and added some Ana Griffin DP, black CS (I used my edges scissors for the border) I added some embossed white CS, I attached some blue ribbon. The scallop circle is hand cut , I used my Coluzzle for the main image, colored pencils and SU Markers, a little bit od gold stickles for the flowers. 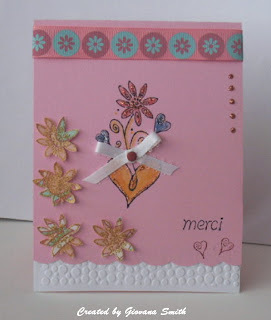 Today I have thousand of things to do (well, maybe less than that) but I had some time for a card. I hope my husband doesn't read this post today because I made a card for HIM!!!! Tomorrow is DH's birthday, he is the best man on earth and my best friend. I hope he likes this card, it is so difficult to create something masculine and good at the same time, well at least for me. 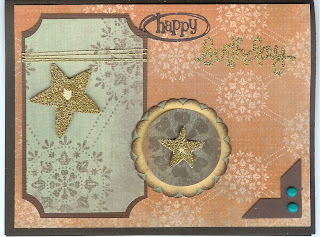 I used the SU DO Outlaw (retired), some brown card stock, 1 photo corner, 2 green brads, a couple of scallop circles (green and yellow) I distressed the borders with some SU Chocolate Chip Craft Ink, the stars are from Autumn Leaves Clear Stamps. I used them in the small panel in my card. Good morning everyone!! Today, I decided to make at least one card, since last week my desk was alone and my papers and stuff were crying so loud to be used, LOL, so today I make them happy. Anyway, as my everyday routine I checked out today's sketch challenge on SCS, and it was great. I pick up the paper I wanted to used and started working on my card. 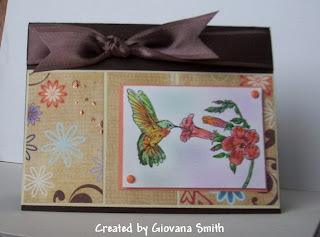 Few days ago I received beautiful hummingbird images from Lori (through the Wish RAK Group) this is the SU Spring Song Set and I wanted to give it a try. At first I wanted to use my watercolor crayons, but I didn't have much time ( I have tons of thing to do, but always time for stamping ;) ) so I decided to use colored pencils, it was a lot faster and a lot more precision in my coloring. I don't have the best colored pencils, but this work really good ( just in case they are Sargent Art) I used the following colors: Red, Red-Orange, Orange, Golden Yellow, Yellow, Pink, Peach, Sea Green, Yellow-Green, Dark Green. For my card I used Brown and SU River Rock Card stock, Fancy DP Floral Chic, SU Satin Chocolate Chip Ribbon, A couple of brads and a little bit of gold stickles. Sorry for the lack of posts in the last few days, I've been busy with some yard projects. Goodness I tried to stamp, but I ended up very tired that the only thing I wanted to do was SLEEP!!! Finally she opened them all, it was a very happy moment to see her happy. I am very blessed to have her. She is a wonderful little girl, sometimes a little crazy, a great talker but the best of all she loves us and she loves God, she says praises and prays for us. God bless you Rebecca. I haven't taken any pictures of her yet, but here 2 just being silly. 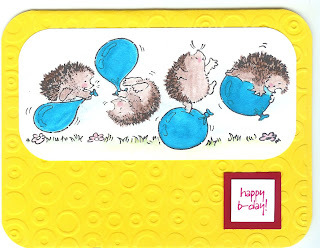 EDITED TO ADD: My good friends from the Wish RAK group have sent Rebecca beautiful Birthday cards and I want to share their creation with you. Thanks you ladies, Rebecca is very happy!!! Today's Challenge at SCS was to create a card using no tools!!! Well, I don't have that many, LOL. I make 2 cards today, but of course I had to combine them with other challenges too. I just learned that and I love it. Anyway, this time I combine today's challenge with Wish Rak Card Contest and Beate's Sketch Challenge. 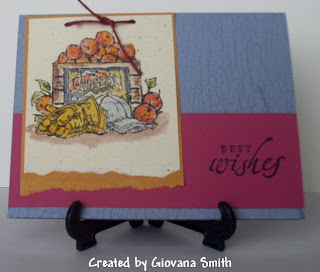 This card is simple and elegant, I love it!!! It is just White CS, and 2 pieces of yellow and green CS, easy, right? I got the Doodle This Images throught the Wish Rak group, I colored them using SU markers and them cut out. I used some dimensionals on the flower. The sentiment was inked on SU Cranberry Crisp color . I added some silk ribbon and attached son gold thread , it looks a lot better in real look. 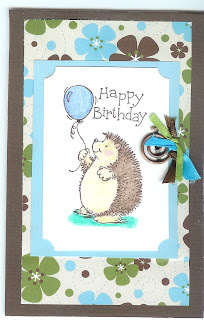 I made this card for today's challenge and also for Beate's Sketch Challenge. 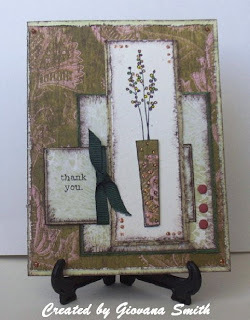 I used More Mustard and Brown Textured CS for the card base and also green, yellow and more mustard regular CS. I used stickers from the SU Simply Scrappin Set (retired) , some stickles in te corners and SU ribbon at the bottom of the big square. I was in the mood for more creations, so I decided to complete the 4 challenges posted on Gina K forum on SCS. Two days ago, I made a cad for challenge #1 . 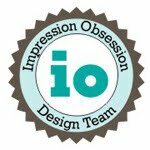 Last Night I had a lot of fun at my Stampin' Up Night. It's always great to see my stamper friends and talk and have fun. We made 2 cards. They are just pretty!!!! Thanks Jeanne you are a great Demostrator!!!!!. 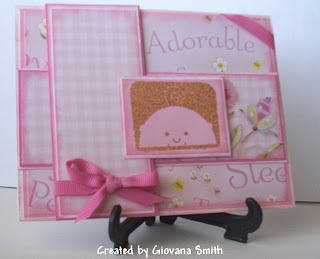 We used fort his card SU River Rock, Always Artichoke, Mellow Moss, Pretty in Pink and Pink Textured . 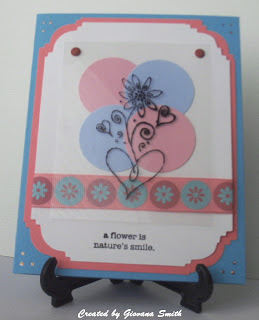 We stamped the Mellow Moss CS using the Jumbo Wheel with Mellow Moss cartridge, the butterfly was stamped in white CS and colored with SU watercolor crayons (Apricot Appeal, Pretty in Pink) we cut it out and adhered it on the Scallop Pink Punch. 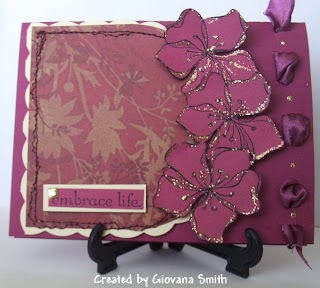 We punched the tectured pink CS using the Boho blossoms Punch. For this card we used as a base CS the SU Bordering Blue, the stripe is SU Rose Red CS, For the image we used as a base More Mustard and Confetti Cream . We used one stamp from the For Father Set, we used a lot of coloring , watercolor crayons (Earth Elements and Rich Regals) and SU marker . We used the 1/16" circle punch at the top and put some red hemp twine. Today I tried 3 challenges in 1!!!! 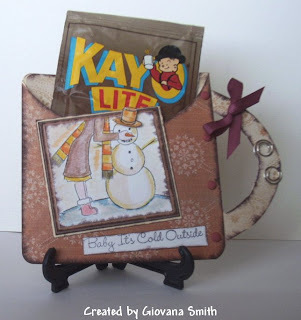 SCS Color Combination, Gina K Sketch Challenge and Wish Rak Card Contest. SCS Color Combination was to use Basic Black, Basic Gray and Purely Pomegranate. Nice colors, they look great together. Gina K Sketch was provided last night by Cammie at the great party we all enjoyed at SCS, the new releases are beautiful!!!! Wish Rak Card Contest this time is category #2, Tie it Up!!! 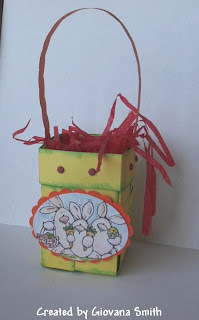 using a ribbon, cord or twine and also something provided by the WR group. So here is my card, I used SU Basic Black, Basic Gray and Purely Pomegranate card stock, SU Satin Ribbon purely Pomegranate, SU dimensionals, brad, stickles. The image is SU Baroque Motifs ( I got through the WR group). Sorry for the absence, I didn't have any inspiration and I've been feeling tired and sleepy. The last few days I could hardly sleep. Last night I would say I slept a little bit better, at least a couple more hours. Anyway, yesterday I made a card, but I didn't post it here. I had to go grocery shopping and I came back tired. 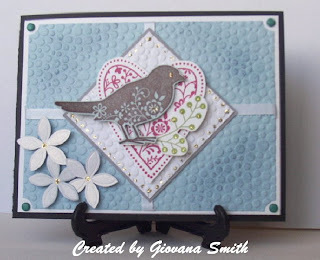 I made this card for Gina K challenge posted few days ago. I created a scene, first time I tried something like this. Maybe next time my scene will be better. 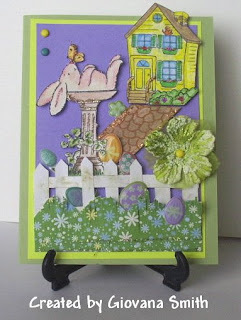 For this card I used SU Certainly Celery, Lovely Lilac and Yo Yo Yellow Card stock, the bunny image is from Penny Black Stamps. The house stamp I got it long time ago at the $ Store. I built the fence and I draw the drive walk. I cut the DP, I really wanted to created something like grass, but didn't work, LOL, maybe next time. I added some Egg stickers. For coloring I used my watercolor crayons, SU markers and stickles. The green flower is from floral embellishment. Last night MFT had a wonderful party on SCS. And again, it is another contest to be the next Guest Designer for the month of April. So, I decided to give it a try one more time. The theme for this month is MONOCHROMATIC COLORS, I am not to good on that, but I tried it, not once, not twice but three times!!!! A record for me. My First card Purely Pomegranate Embrace Life. I love this card, I had in mind something different, but this came up and I am happy with the results. I used fort his card SU Purely Pomegranate CS, SU Satin Ribbon Purely Pomegranate, the images were stamped in SU Rose Red CS. I used my sewing machine and stitched all the borders, I hope you can see it. I cut the flowers and added some SU dimensionals and gold stickles. 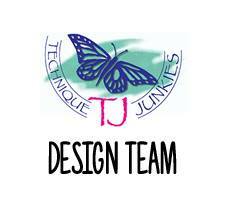 The designed paper I won it from Mother and Daughters Creations. 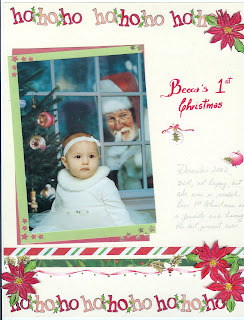 My second card is just an adorable Baby Dress. I got the template from the Internet. I used again the DP I won on Mother and Daughters Challenge, the CS is SU River Rock . I embossed some lines from the DP with gold ep and then I just added SU Whisper White grosgain ribbon around . I added some gold stickles on the sleeves and at the bottom of the dress. 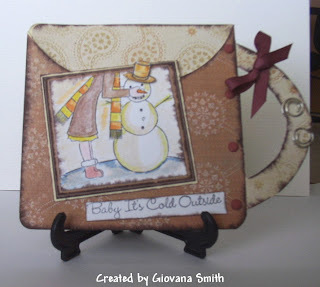 For my third and last card Chocolate Mug ;I used MFT stamp . I again got the template from the internet. I colored my image with SU watercolor crayons. I used SU Retired DP Outlaw, some brads and SU Bravo Burgundy Grosgain Ribbon. A hardware on the cup handle. To make it more wintery I added a bag of Hot Cocoa Mix into the cup. 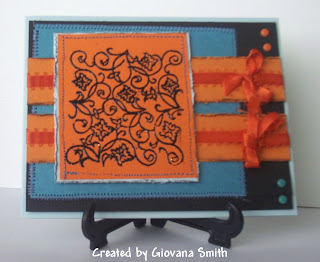 I made this card for today's sketch challenge on SCS. 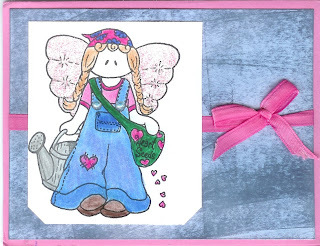 I have a friend who is expecting a baby girl and she likes my cards, so this card is for her. We talked about her baby announcements last Sunday, I will be very happy if she lets me do them. For my card I used my SU Retired Peek-A-Boo Set, I like this set a lot, it is perfect for baby cards, sadly not too many people bought it or liked it, I don't know, not too many photos on SCS gallery. I used just basic white and pink card stock, 2 different designed paper , they are from American Traditional Design. I embossed the image in gold ep. I used SU Pink Ribbon. 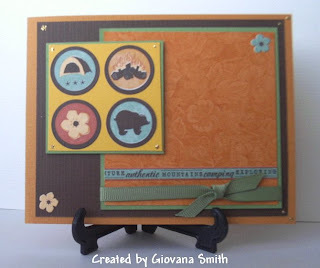 well, go and visit Melanie's blog, she will give away her new stamp set, not release yet!!!!! Isn't that cool??? 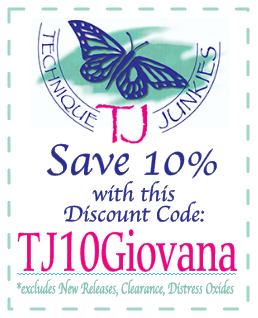 So, here I will give you the link, go and good luck!!! 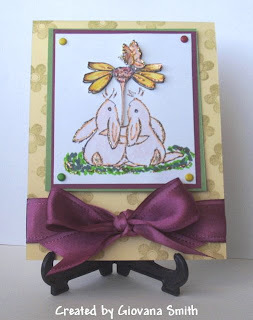 I made this card for today's color combination challenge on SCS, using Wild Wasabi, Purely pomegranate and So Saffron.I really wanted to use this image from Penny Black Stamps, I love these cute bunnies, aren't they adorable???? I colored the image with watercolor crayons, and then I used markers to give it more intensity. I also color an extra flower and then I cut it and using dimensionals I put it on the main image. I hope you like it. I had fun creating this card. I will back later with another project. Today is my 2nd niece 15th Birthday!!!!! 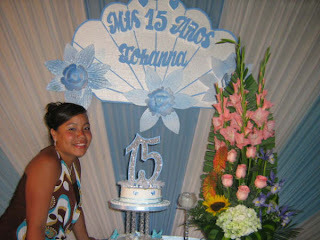 In Peru we celebrate the "Quinceañera Party" and yesterday she had a big birthday celebration. I called her today to wish her the best. I can't believe that 15 years went by so fast. I remember when my sister was pregnant and the moment she was born. 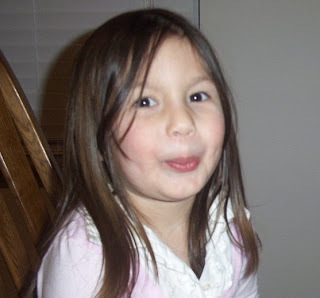 I was always happy to have her at home every weekend, grandpa and the aunties always spoiled the nieces LOL. I love my nieces and nephews so much I wish I could be there right now. Anyway, here another picture of one of my youngest nieces, Johanna's baby sister, yes my sister got pregnant after 14 years and she is the new addition in the Manrique's family, her name is Cielo and she is a doll. 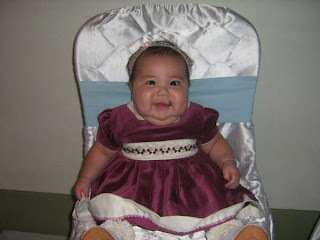 My sister has 2 big daughters (17 and 15) and Cielo; we called her Cielito, who is almost 6 months old. Here a picture of the whole family. that I didn't know. I checked it out and You have to visit it, it is amazing. Jody is a real talented creator. I tried her basket tutorial. 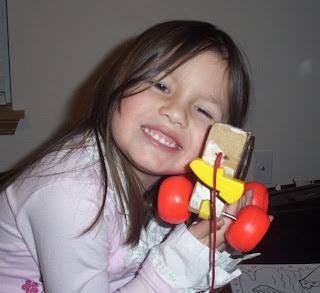 It is really easy and the instructions and excellent. A lot of details that you are gonna be able to make without any problems. 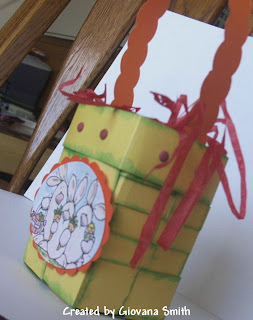 The tutorial is found here: http://confessionsofaribbonaddict.blogspot.com/2008/02/my-basket-tutorial.html. For my basket I used double-sided color Card stock, I bought this over a year ago and I haven't used it much. One side is yellow and the other is green. I used the yellow side. For the handle I used SU Pumpkin Pie CS, the oval punch I received through the Wish Rak Group as well as the Easter image. I cut the bunnies images with my Coluzzle. As she says in her tutorial is better if you used sticky strip because it is a lot stronger than regular double sided tape.